The birds are singing, delicate cherry blossoms are emerging, and a rainbow-hued multitude of fragrant flowers are popping up to lure this year’s busy bees. But springtime isn’t just about small-scale nature watching—especially if you head to Steveston Village, which is home to two popular boat tour operators. Richmond’s annual guided whale watching season has just begun its 2019 run, and if you haven’t experienced a tour yet, now’s the time to do so. From now until the end of October, Steveston Seabreeze Adventures and Vancouver Whale Watch depart daily from Steveston Village, taking wide-eyed participants out for spine-tingling encounters with some of BC’s favourite marine mammals. But while whales are the key focus for many visitors, they’re not the only things you might see when you’re out on the water here. The big lure for many participants—especially those visiting BC for the first time—is the whales. Both Vancouver Whale Watch and Steveston Seabreeze Adventures offer dedicated whale-focused interpretive eco tours where, from the comfort of your boat seat, you’ll have a chance to spot orcas in the wild. Operators adhere to guidelines established by the Pacific Whale Watch Association, to give you an excellent view while respecting the whales’ wild habitat. But it&apos;s not just orcas you&apos;ll have a chance to see: there can be some jaw-dropping bonus sightings on these tours as well. These might include humpbacks, minke whales, or grey whales. 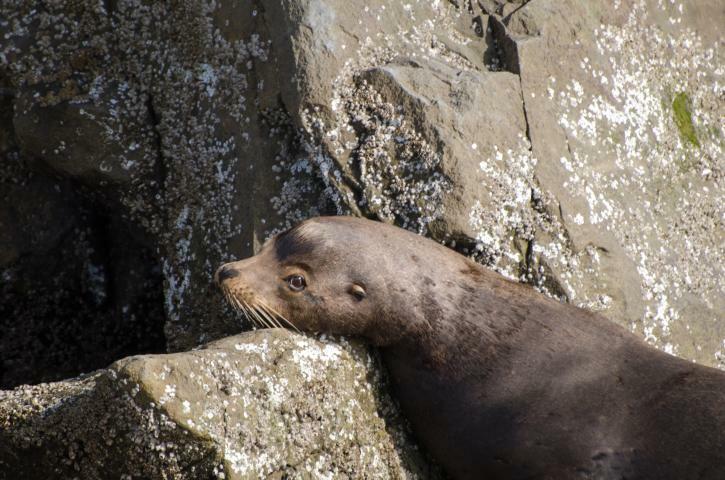 And you’ll also likely see some seals or sea lions en route, along with bald eagles and passing seabirds. Richmond’s whale watching tours typically run for 3 - 5 hours and cost $145 for adults, $125 for students and seniors, and $85 for children in a semi-enclosed vessel. Open air vessels cost $150 for everyone. While whale watching is the main focus for each operator, both also offer intriguing alternatives—each with their own distinctive appeal. 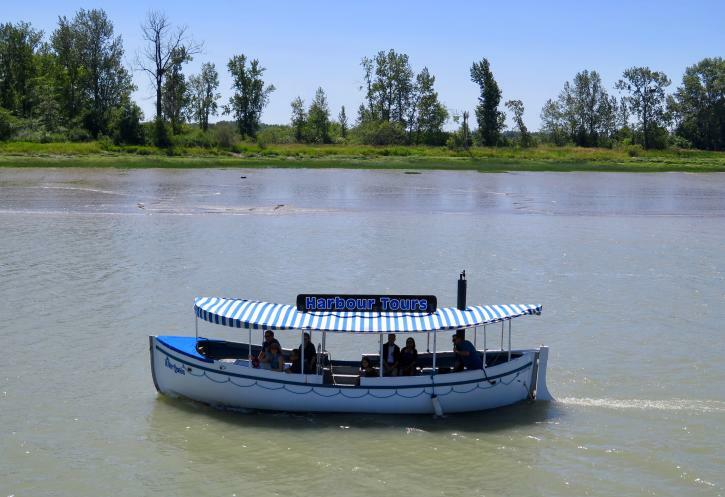 Running in April and May only, Steveston Seabreeze Adventures&apos; Sea Lion Tours are a delightful 90-minute excursion that cost just $32 for adults, $25 for students and seniors, and $20 for children aged three to 12. Participants are taken along the South Arm of the Fraser River estuary, during the period when California and Steller sea lions typically congregate in numbers. These cruises often include additional wildlife sightings such as seals, eagles, and sea birds. Keep in mind that these limited-run excursions are very popular—book ahead here. Over at Vancouver Whale Watch, their Sea Lion Tours also run in April and May, with a two-hour excursion covering a similar route. This tour, however, is only available for group bookings. But alongside their regular whale-spotting trips, Vancouver Whale Watch also runs a unique excursion later in the season. A popular Steveston activity among in-the-know locals and visitors, these Nature and Historical Tours on the heritage vessel River Queen typically start in late June or early July and run until the end of August. The charming 45-minute excursions are a great way to check out the area’s richly storied shoreline from the water. We hopped aboard this tour last year, and you can look out for the latest information on this year’s operations here. If you can’t make it to one of these alternative tours in 2019, there’s always plenty of time to book a whale watching trip with either operator before the end of October rolls around. These breathtaking excursions head out to open ocean, often weaving around local islands. 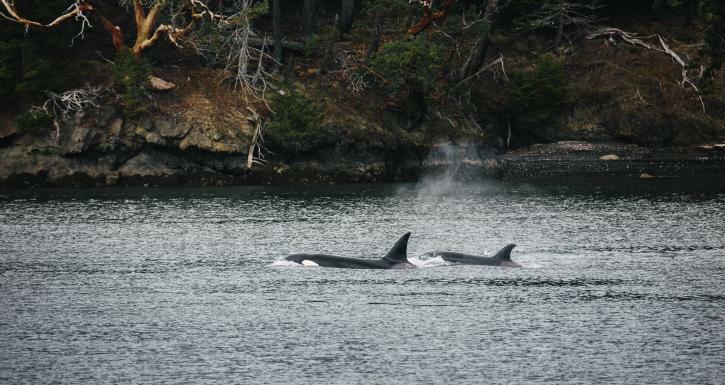 Guided by marine experts, you’ll learn all about BC’s distinctive orca populations. There are two key groups: transient orcas, which hunt and eat mammals such as seals and sea lions, and resident orcas that feast mostly on salmon. Keep in mind that you’ll need to do a little preparation before you hop aboard. Dress warmly in layers; even on hot days, it can be chilly out on the water. And bring sunglasses and sunscreen, plus snacks and a water bottle (although water is provided onboard). Finally, don’t forget your camera so that you’ll have plenty of cool images to show your friends and family back home!